Our sparkling pool is set upon an elevated boardwalk that overlooks a magnificent lake. All of this nestled into the heart of spectacular Delray Beach. 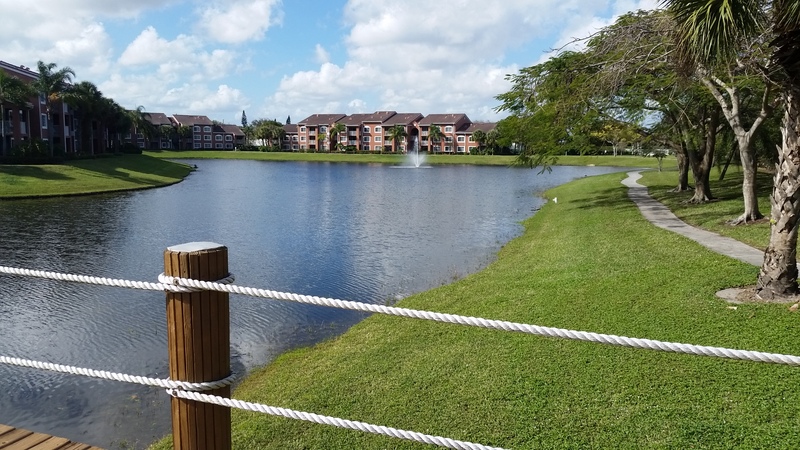 Easy access to I-95 and Florida's Turnpike gives you every reason to call Water's Edge home. everyone here is so pleasant and residents look out for one another. Maintenance staff are very prompt in fixing stuff in apartment. a very quiet neighborhood, gates are working most of the time, people here are very friendly, pool is always well maintained. I would recomemd it, but I would also tell them about the positives and negatives. The community is beautiful, the facilities are wonderful. The lake view is the best. The maintenance is very quick. They will fix things within a day or two. The bad side is that if you leave on the first floor, you will get palmetto roaches. The good thing is that the community will provide pest control. Hopefully the go away. I haven't seen any in about a month, but my neighbors on the first floor have put one bug hear and there outside in the hall so I know they are still around. The grounds are kept well as far as landscaping, but the hallways to the apartments sometimes don't get cleaned. Also if you are looking for stainless steel appliances and a new looking apartment, this isn't for you.